How to Make New Friends… Out of Paper! Papercrafting is best when you’re with friends, but it can be tricky to work around conflicting schedules and long distances. If you find you aren’t able to see your friends quite as often as you’d like, here’s an idea: Make some new ones! …out of paper of course! 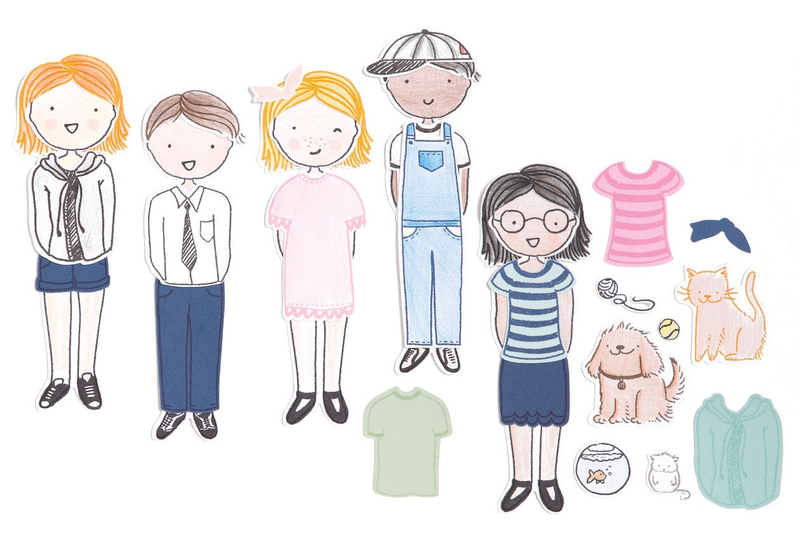 While these fun paper dolls won’t be a complete substitute for real-life friends (you’ll want to keep those people around! ), the Paper Pals collection gives you the tools to create a whole gang of perky, cheerful buddies who are always there for you and who would be glad to help in a variety of ways! 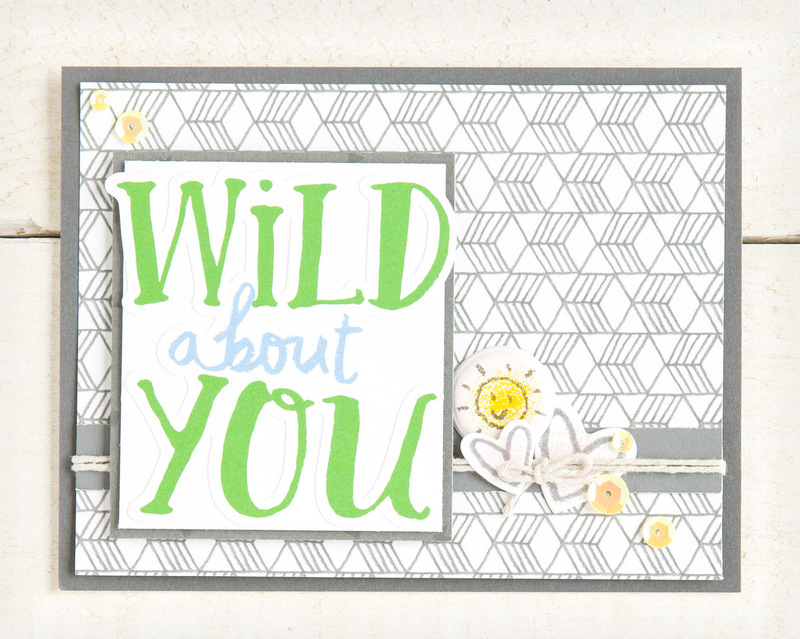 They’ll help you accent a scrapbook layout, brighten a card with their smile, or just hang out and keep you company! 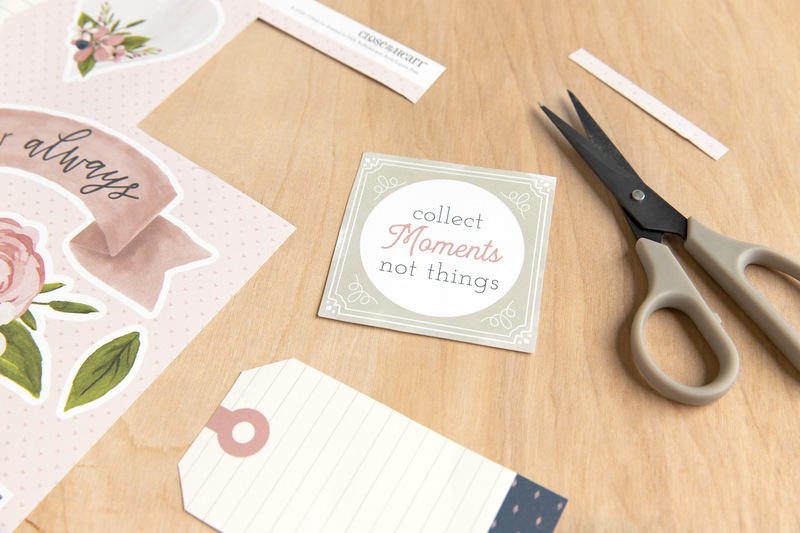 The collection includes four stamp sets with coordinating Thin Cuts shapes. Use the base set to start your Paper Pal, then decorate and accessorize using the boy and girl sets. Be sure to make your paper pal a pal of their own using the Paper Pal Pets set! Each of these sets is available individually, but can also be purchased together at a discount in the Paper Pal Bundle! While the clothing items and accessories are packaged into “girl” and “boy” sets, most of the items can used on pals of either gender! The overalls pictured above are included in the “boy” set, but look perfectly feminine in this example. You have total control over the clothes based on your paper and ink choices. Also, note the difference between the boy and girl hair styles: While the “boy” hair style sits on top of the head like any other paper shape, the “girl” style die cuts a slit that allows you to slide it over the head, for a more lifelike look. 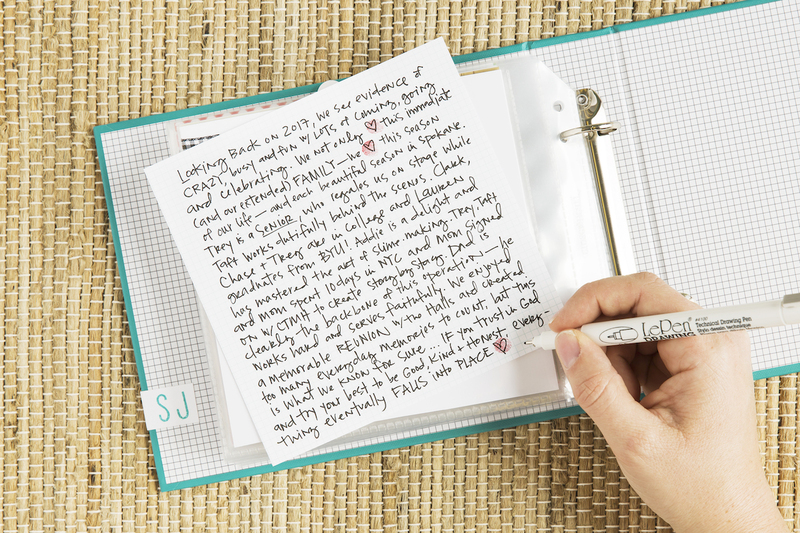 Stories I Love Giveaway from Stacy Julian! We all have photos that hold a special place in our hearts. They remind us of something or someone, and they often have detailed, personal stories that go with them. 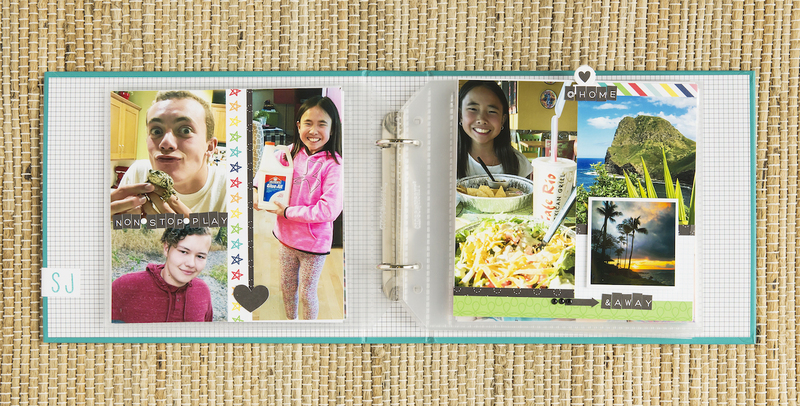 Stories I Love, the newest program from Story by Stacy™, gives you permission to bring your most treasured photos together in one album and teaches you how to write the unique stories that go along with them. Your favorite photos may not be the ones that are the most pretty. They may not have the best lighting. They could be candid or staged. They could be from a special occasion or from everyday life. What makes them important are the memories they represent and what you feel when you look at them. That’s what Stories I Love is all about. Each Stories I Love workshop kit comes with a 6″ x 8″ album, ten 6″ x 8″ Memory Protectors™, one title page, one closing page, story pages, base pages, and two sticker sheets. The workbook included in the kit walks you through the steps of exploring the story behind one photo, writing that story, and then creating a 6″ x 8″ layout with just that story and photo. Are you ready to make your own Stories I Love album? Watch the video below to hear directly from Stacy about this new program and to find out how you can win your very own Stories I Love workshop kit! You have until 11 a.m. (MST) Thursday, January 17, to enter in the giveaway. Winners will be notified by email on Thursday. The memories behind the photos you cherish are stories only YOU can tell. Recording your thoughts and feelings transforms every layout you make into a treasured keepsake. We can’t wait to see what you create with Stories I Love! We’ve all been there. No matter how much we enjoy creating, eventually there comes a time where we find that our creative juices are anything but flowing. It is nothing to feel bad about. Lulls come and go and are part of the creative process. However inevitable these ruts may be, we do at least have some control over how long we allow ourselves to stay in them. Below are five suggestions to get out of that brain-lock and find your muse. Carve out a creative space. Dedicate a physical place for your crafting and take the time to nest. 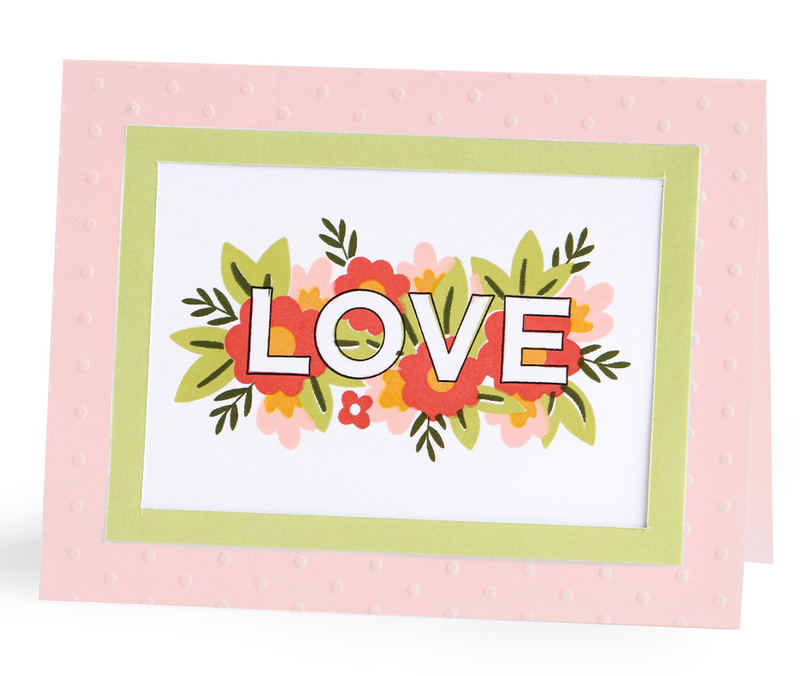 Make it a place that reminds you of how much you love scrapbooking or cardmaking (or both!) and why. 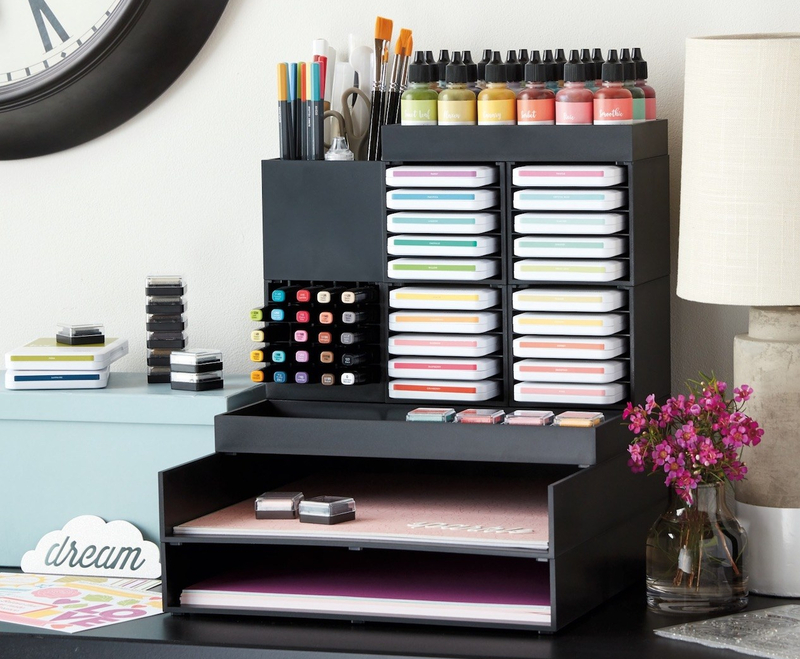 While craft rooms can be fabulous, this creative space doesn’t have to be an entire room. A desk or a table work just as well. Include quotes, photos, finished projects, supplies—whatever supports your creative energy. 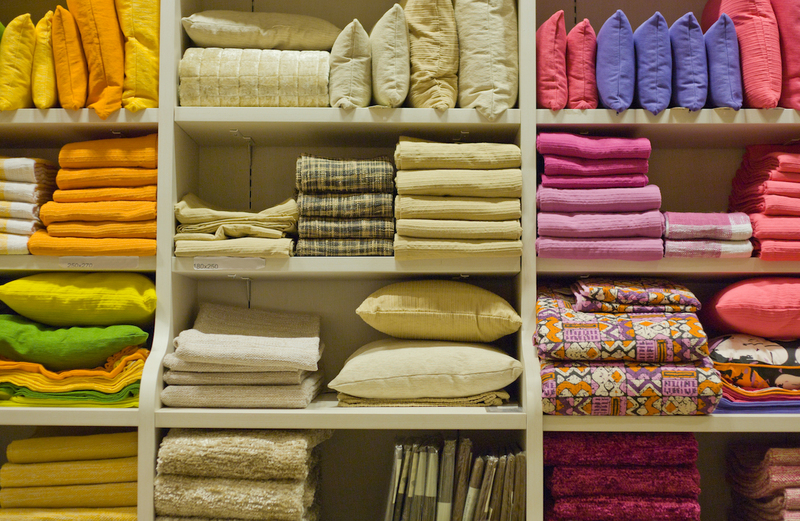 Once your place is all set up, don’t let it get stale. Keep wanting to spend time there by keeping it up with a cute new pillow, or quote, or photos, etc. Make this the place you physically go to, and want to go to, when you work on your art. A physical place is just the beginning of a creative space. Before going to your place, make sure your mind is going with you, too! Clear your mind of stresses to make room for new ideas to sprout and grow. Everyone does this a little bit differently. For some, going on a walk or a drive does the trick. Others may require locking the door, turning on some music, and dancing without inhibitions. Whatever your process, do your best to clear your mind and stay present before you sit down to create. You’ve carved out a creative space, both physically and mentally. Now, the next thing is to show up. Set time aside for the thing that you love and make it the thing to do at that time. Add it to your daily, weekly, or monthly schedule. The important thing is that you include it in your routine and that you actually take the time to do it. Even if you don’t have a project that you are currently working on, feed your creativity. Sit down in your place and create something. Remove the pressure of creating for a specific reason. You create because you love to. Enhance your creativity by doing things differently from time-to-time. Michelangelo, one of the greatest artists of all time, always thought of himself as a sculptor and not a painter. When he was commissioned to paint the ceiling of the Sistine Chapel he tried turning it down but was eventually persuaded otherwise. (Aren’t you glad?) 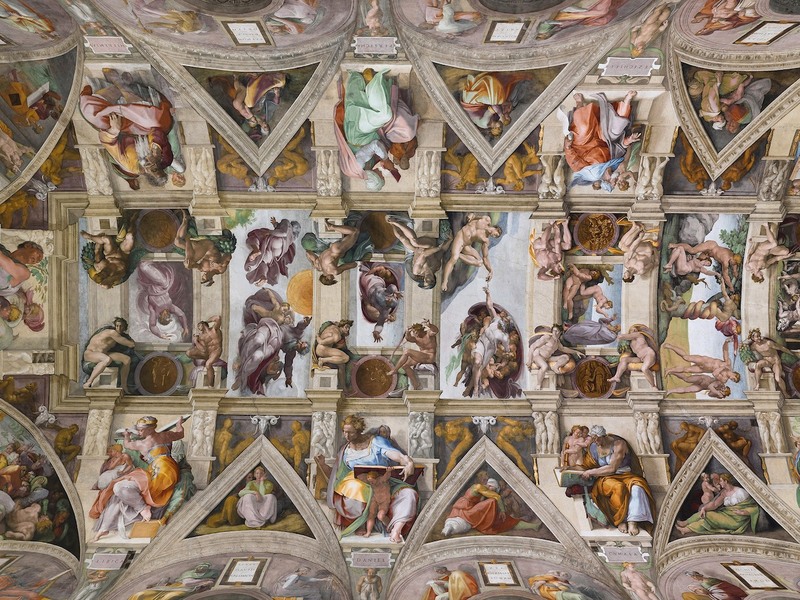 Up until that commission, Michelangelo had never painted in fresco or even used color in any of his art. Just like Michelangelo, you’ll never know what you are capable of if you stick to the same, habitual, never changing methods and ideas. Experiment with new media, new products, and new techniques. Even though you will fail occasionally, you will also have successes. This is the point where we tell you to take your headphones off and connect with the world that is around you. Visit museums and art shows, attend concerts and live theater, flip through magazines, go shopping, eat at your favorite restaurants, and spend time with uplifting people. Allow all of this creative energy to rub off on you and reign it in to use on your art. Keep a notebook or use your phone to gather and keep ideas that inspire you. You never know when you’ll see something that you just love to look at, for whatever reason—it could be a color combination, an arrangement, a theme, etc. Keep all of these ideas in one place to refer back to often, especially when you’re feeling creatively stuck. You clip the photo (or take a photo of it with your phone) and save it in your inspiration journal. 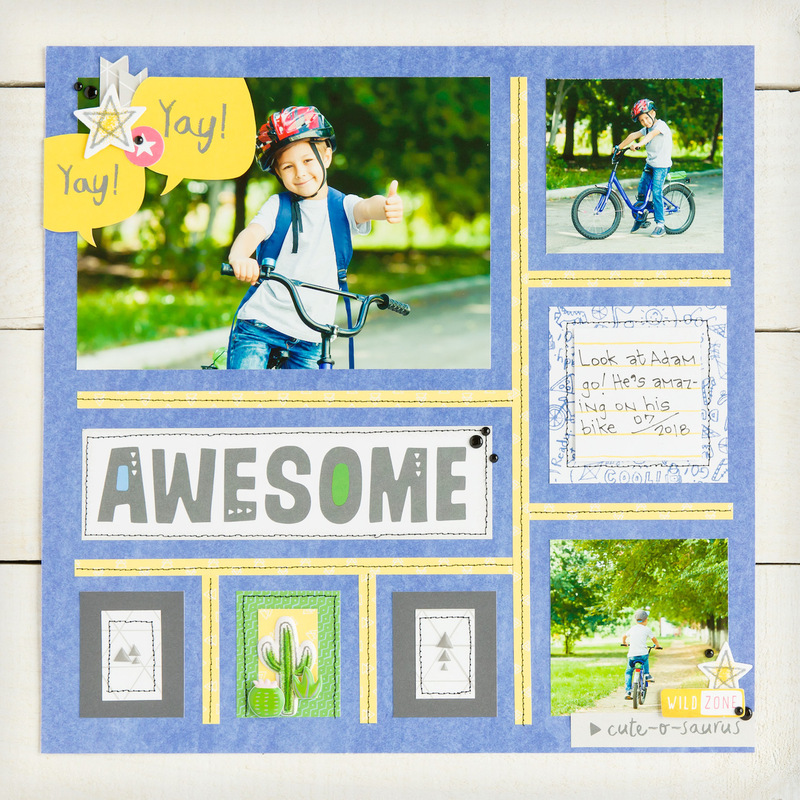 Pulling from the heavy pattern on the wall and smaller items offset to the side, you create a card. The card is based on the same compositional elements as the photo. There is a heavy pattern in the background, a large sentiment in the front (like the chair), with smaller complements next to it. We hope that this new year brings lots of creative ideas to you all. And if ever in a rut, review our list above to help you find your inspiration. What are some things you do to feed your creative energy? 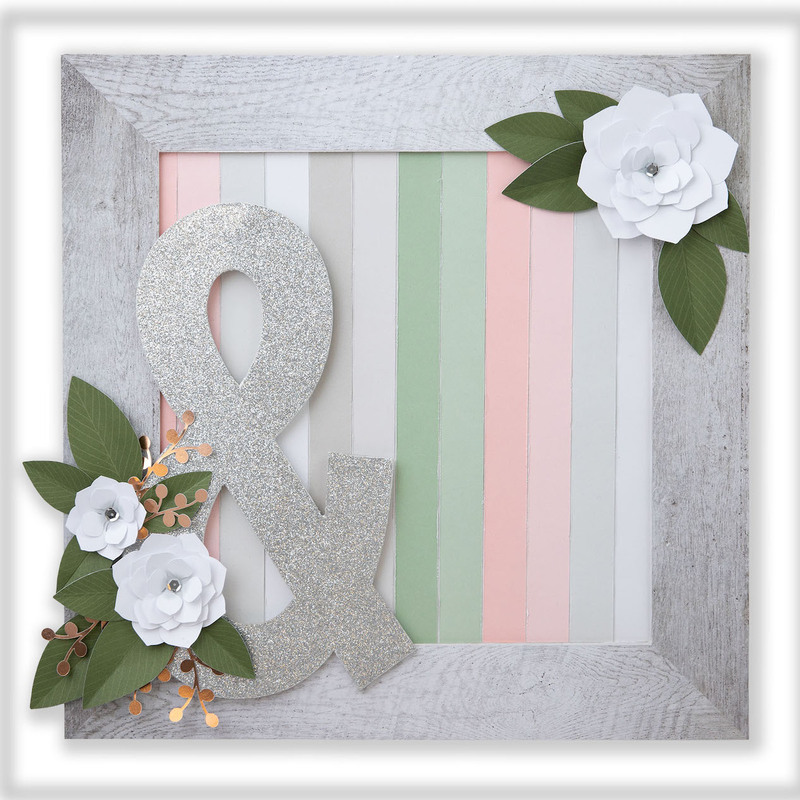 Get Papercrafty and Frame It Up! Happy National Papercrafting Month, everyone! 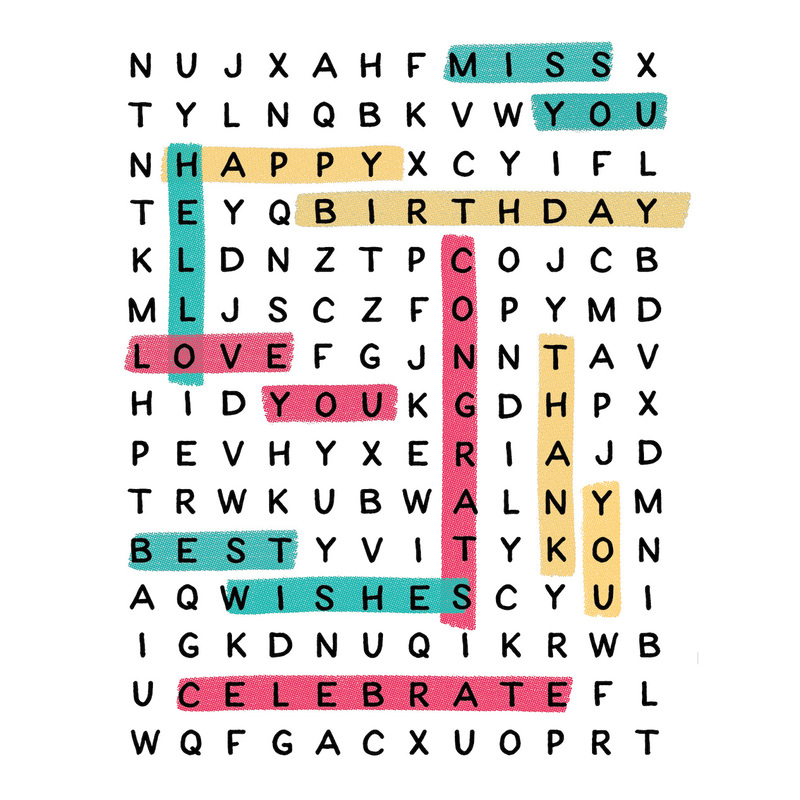 It’s that time of year where we have the perfect excuse to celebrate all things paper and we absolutely loooove what we’ve got for you and your friends to celebrate right along with us. 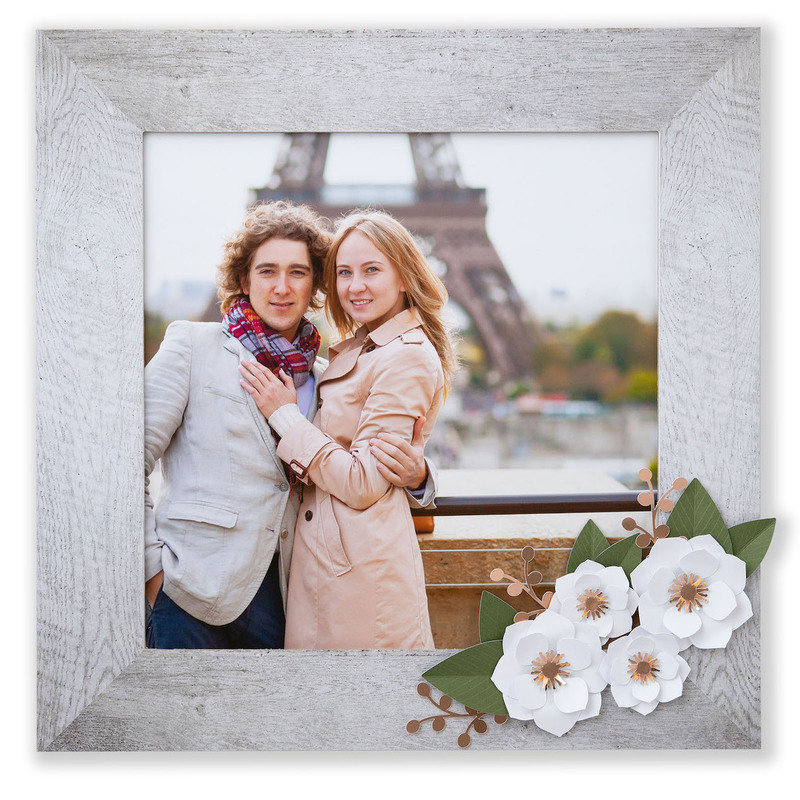 Crafters of all kinds can join in and start the new year full of creative possibilities with our Frame It Up special! 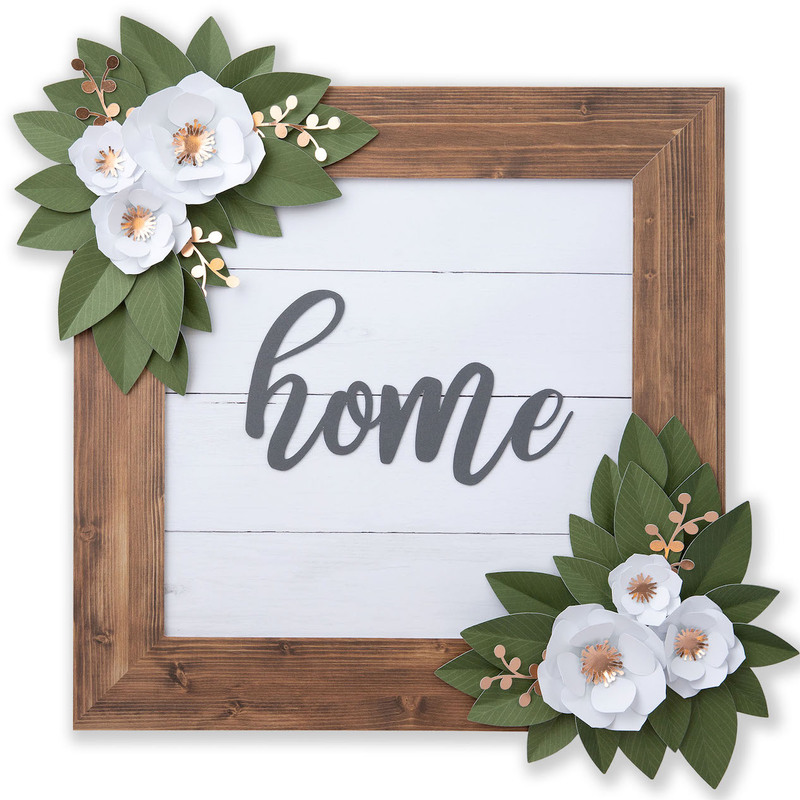 This special features the beautiful Magnolia Frame Kit, designed to create customizable décor for your home, office, or any other space you’d like to brighten up. 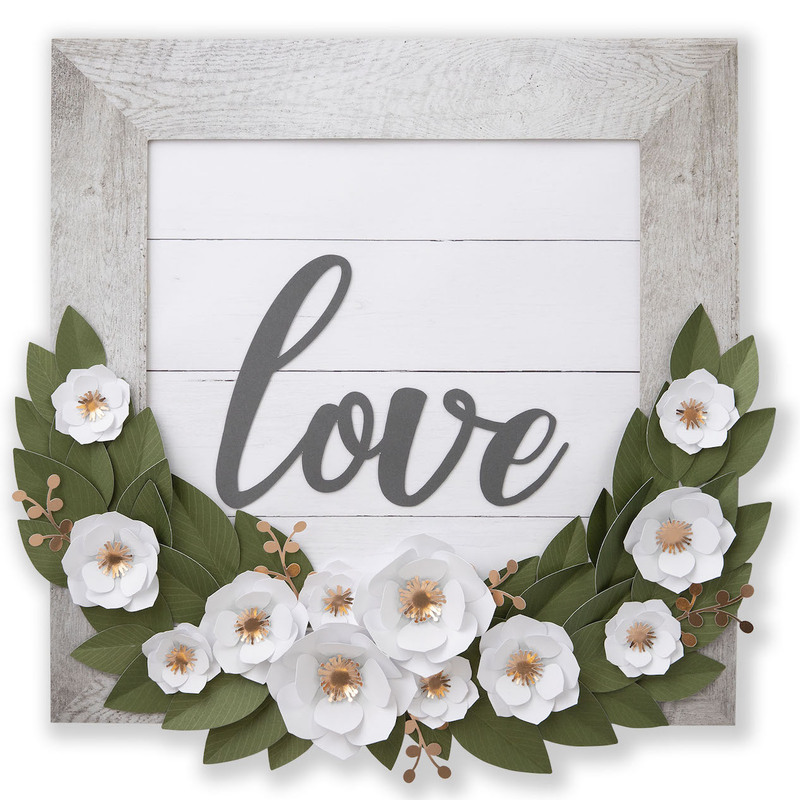 Each kit comes with a 16″ x 16″ chipboard frame and backing, one double sided frame overlay that lets you choose what kind of finish you want for your frame, two decorative words, die-cut flowers, leaves, and rose gold foil accents. 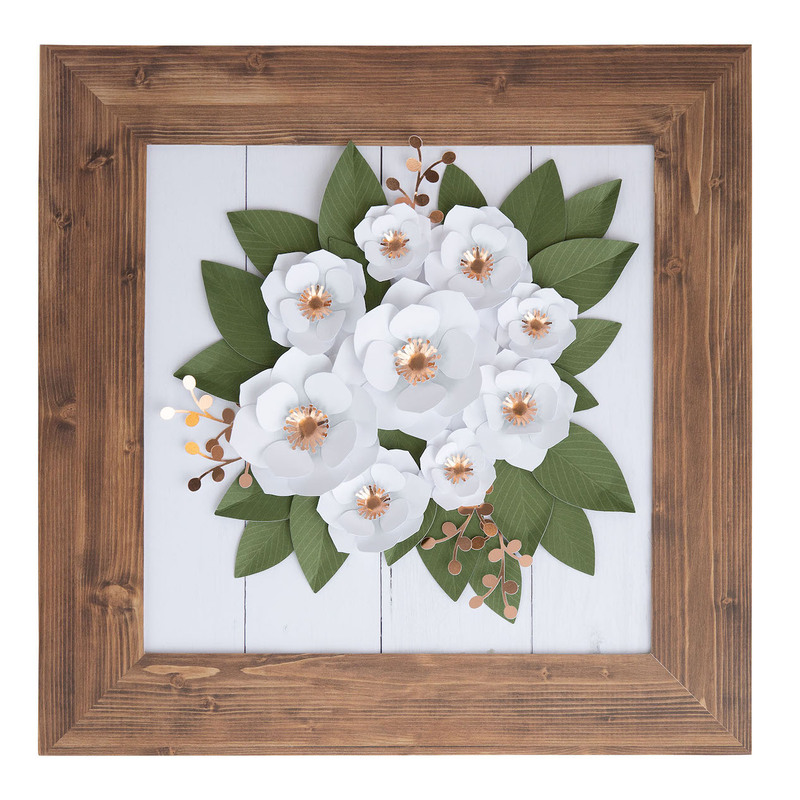 Use the included step-by-step instructions to get the basic frame and flowers assembled, and then let your creativity guide you through designing the rest! 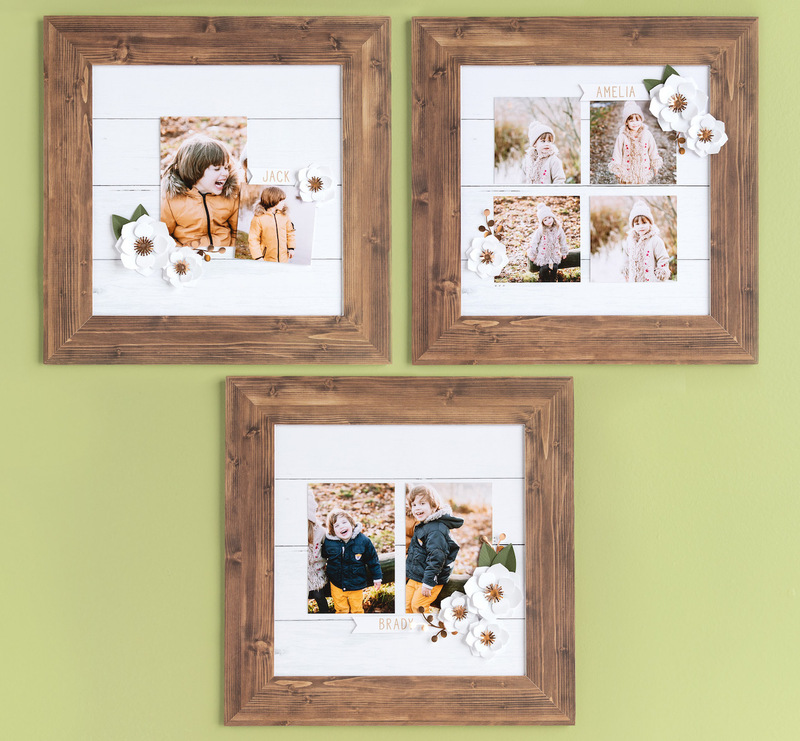 There are so many different ways to use this versatile frame that you are sure to want more than one, which is precisely why you get 15% off each kit when you buy two, or 30% off when you buy three or more! 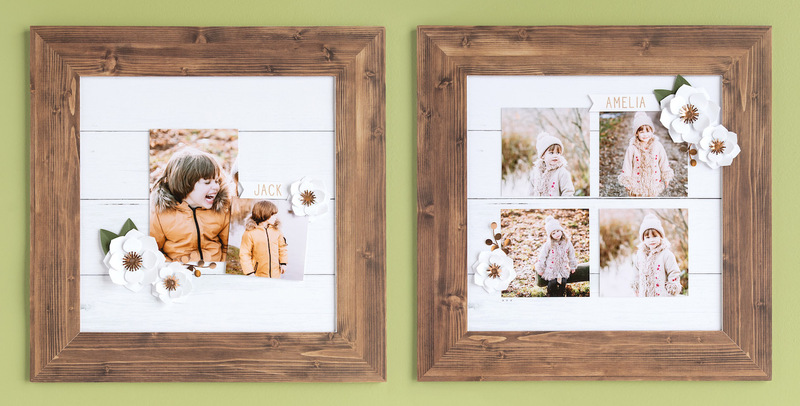 And, because it’s a new year and we think everyone should have at least one of these gorgeous frames, we are giving away FIVE Magnolia Frame Kits right here, on our blog! You have 24 hours, that’s until 4 pm (MST) tomorrow (January 9), to leave us a comment below telling us how or where you would use this frame and become a subscriber, if you aren’t already. National Papercrafting Day is coming up, fast. Celebrated on the fourth Saturday of every January, this year it falls on January 26. 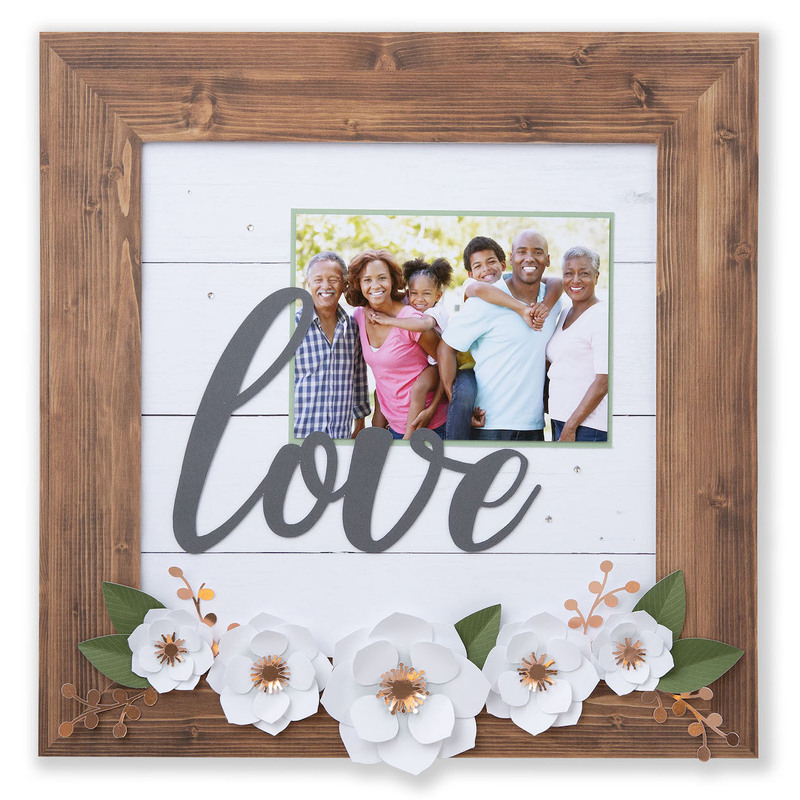 Get together with your friends and celebrate by crafting your new Magnolia Frame! Alright, we already know that you do, which is why our tireless product designers and artists have been hard at work to stay ahead of your crafting needs. We know that at this time of year, our hearts and minds turn toward the most special relationships in our lives, and we start thinking of ways that we can meaningfully show love for those closest to us. 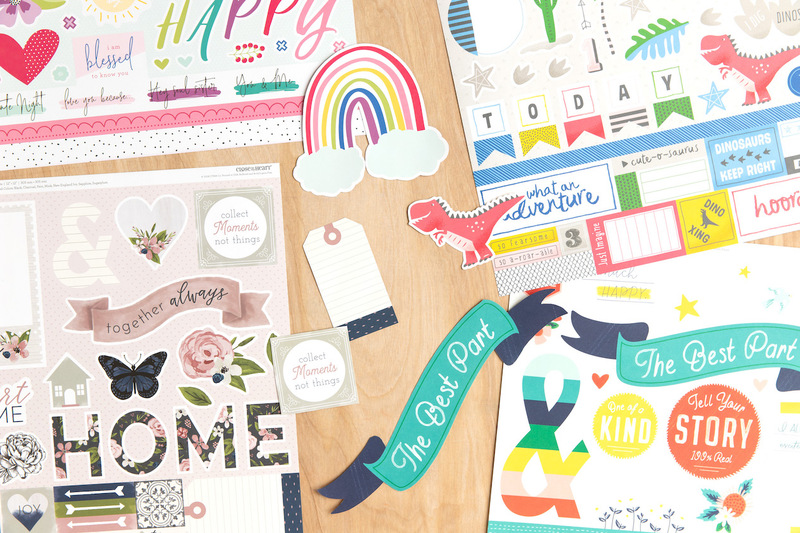 Anticipating the desire to create cards and scrapbook pages to celebrate this love, we have created a new exclusive collection we’re calling Heart Happy! The Heart Happy collection features a paper packet, stamp set, and sticker sheet all designed specifically to help you express your feelings for those people who mean the most to you—whether that’s a significant other, children, family members, or even your girlfriends! 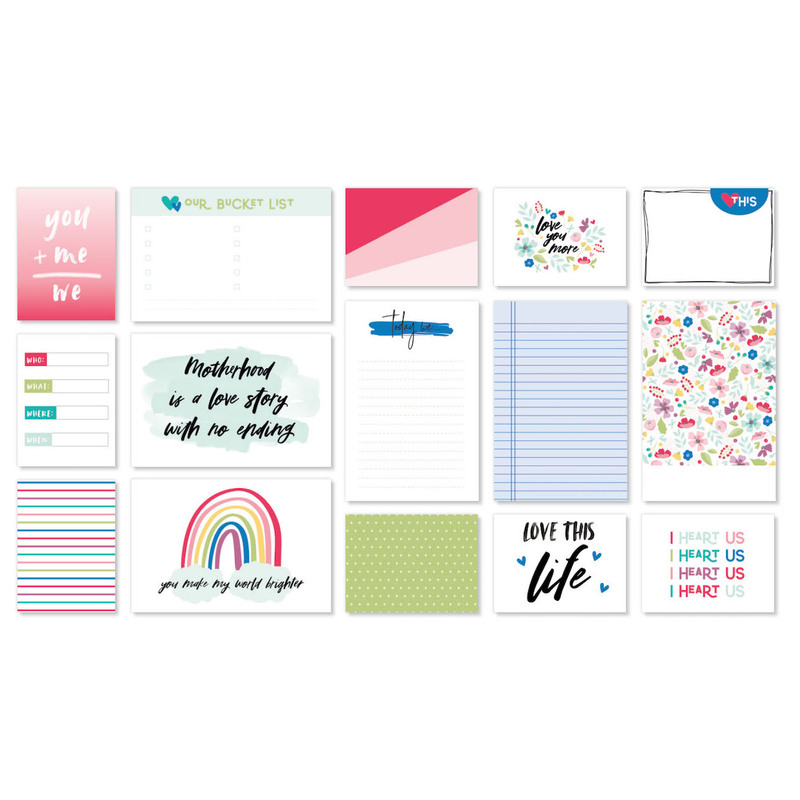 This collection is also available packaged together in a convenient workshop bundle with materials and instructions to help you create 1 two-page scrapbook layout, 2 single-page scrapbook pages, 10 unique cards, and 5 tags suitable to attach to sweet, thoughtful gifts for your loved ones. If you’re anything like us, then your heart is definitely feeling happy right now just thinking about playing with this vibrant collection of coordinating items. 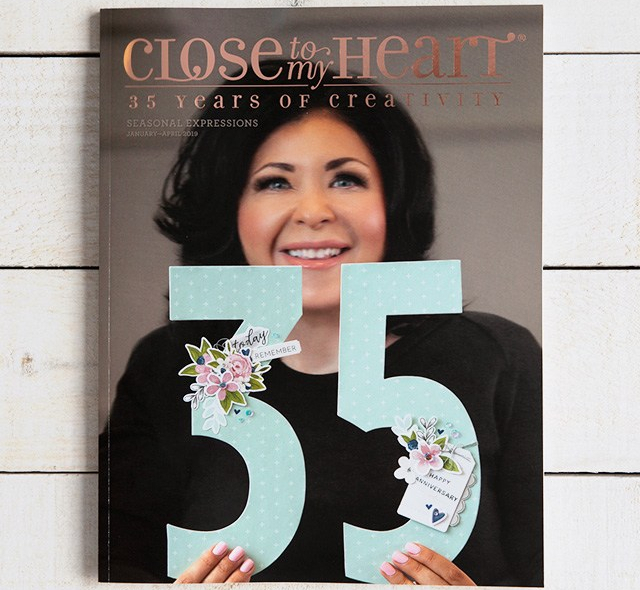 Now is the perfect time to start getting ready to make Valentine’s Day special, and ordering the Heart Happy collection is a wonderful place to start—visit closetomyheart.com to see the whole collection! 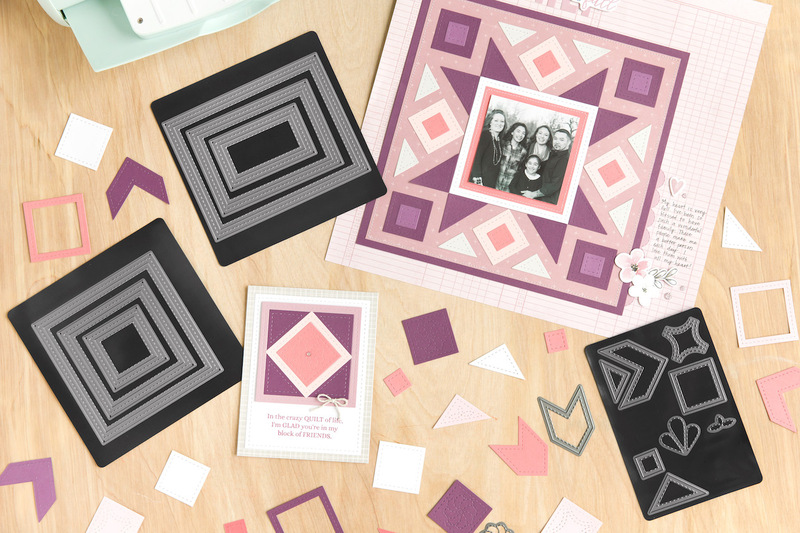 PS – If Valentine’s Day isn’t your thing but you’re still crushing on this paper collection, then you’ll love the alternative Everyday Life™ album that we’ve designed using these same papers. Check that out here. New and Exciting Products for the New Year! Included in every one of our new suite paper packets will be two cut-apart sheets. 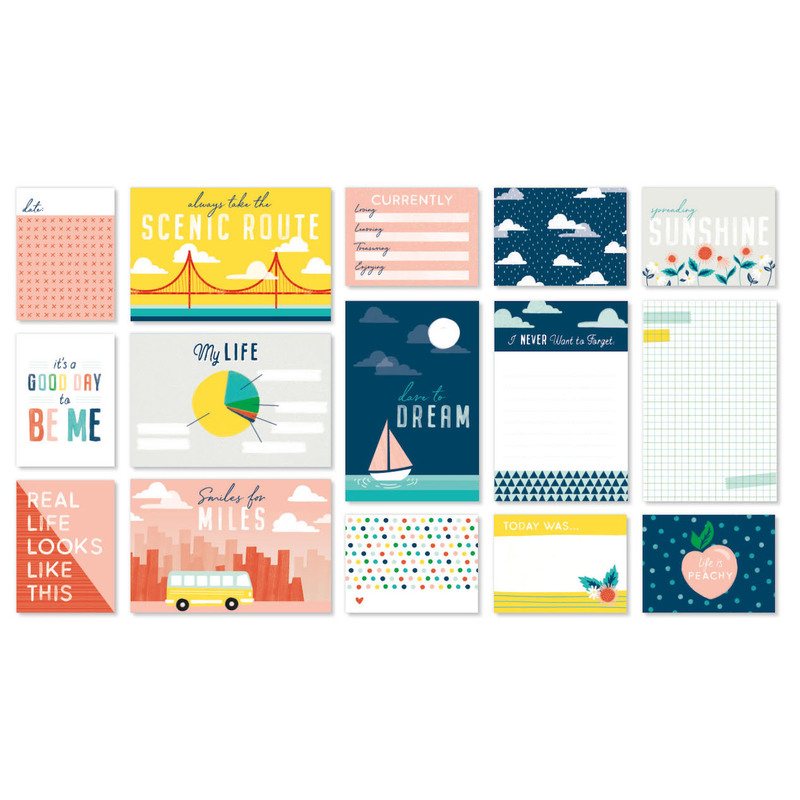 One side will have a customary 12″x 12″ design while the other side will feature a variety of shapes and sentiments that coordinate with the specific paper collection it belongs to. 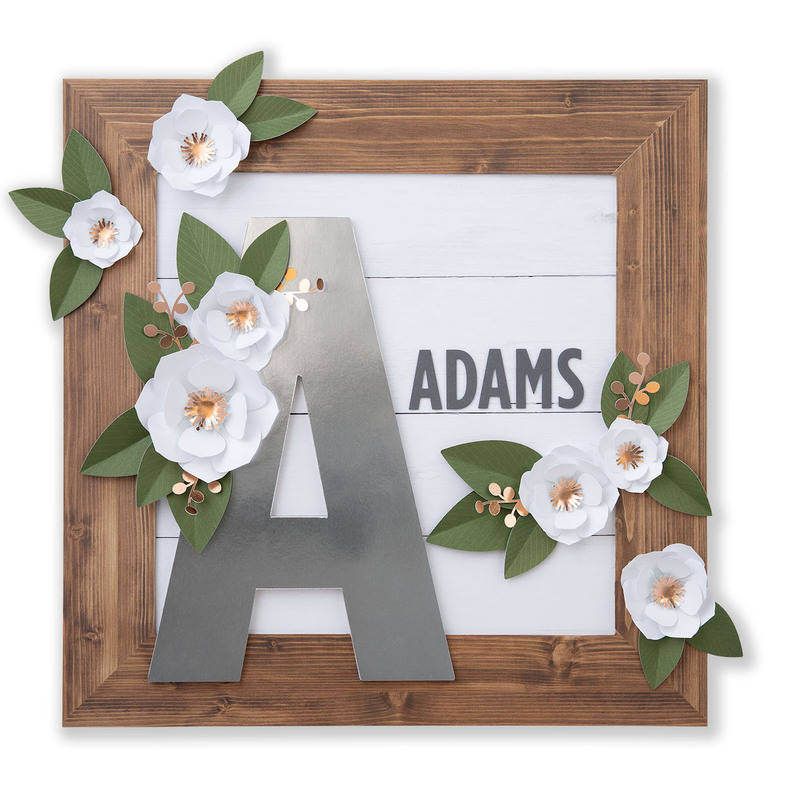 As the name implies, you cut these shapes and sentiments apart with scissors and use them as titles and accent pieces for your pages and cards. 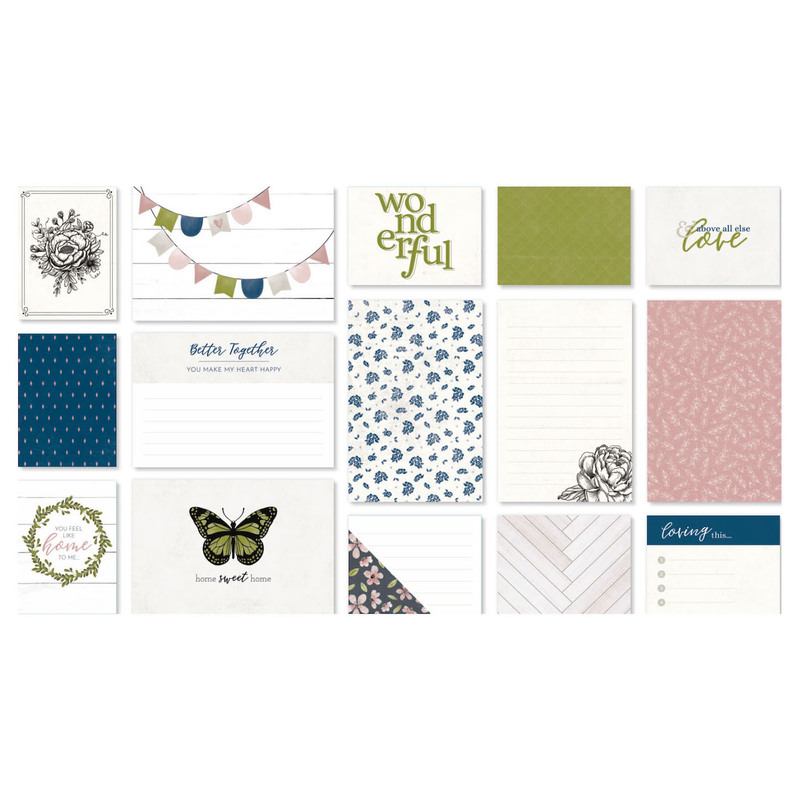 Also new to each paper collection is a coordinating set of Picture My Life™ cards. In the past, a new catalog came with two sets of Picture My Life™ cards whose color schemes would match two of the catalog’s paper suites. This time around, we are doing things a little bit differently. 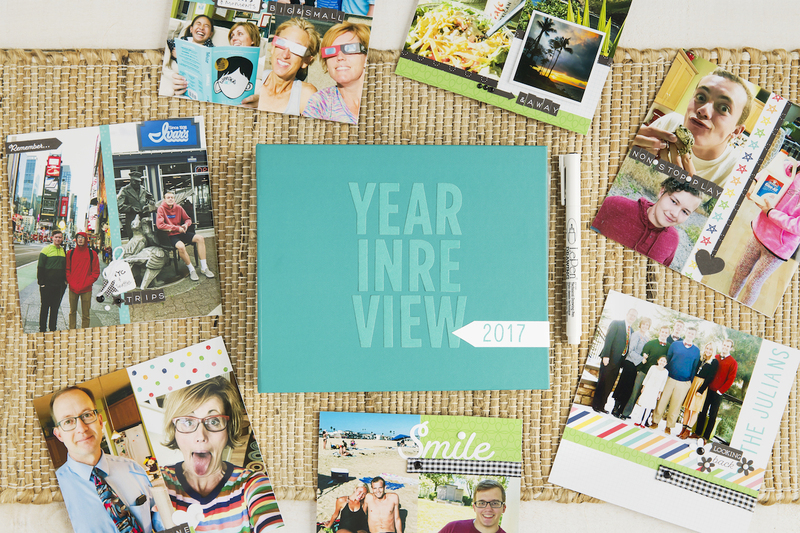 Instead of offering two sets of pocket cards in our new catalog, there are FOUR sets of Picture My Life™ cards. 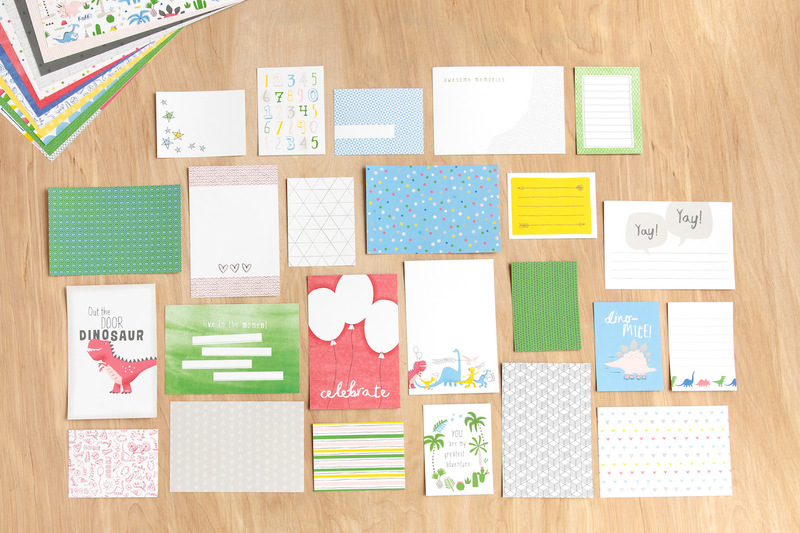 Each set corresponding to one of the paper collections not just in color but in theme as well. 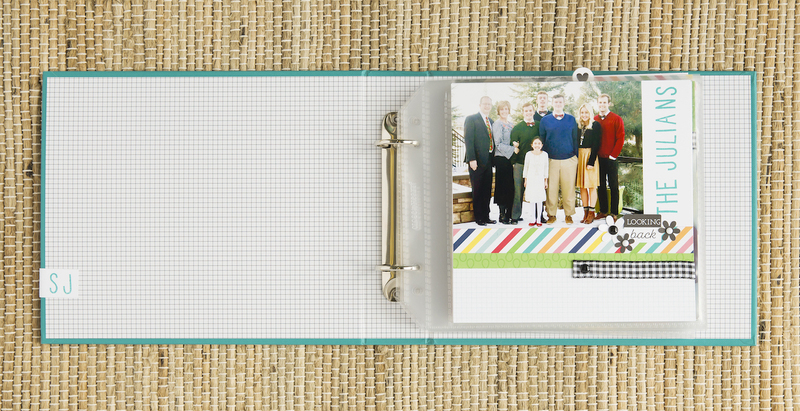 Including additional photos to your layouts and albums with our pocket Memory Protectors™ just got easier! They’re baaack! We just can’t help playing with paper, and what a fun and easy way to do so with an embossing folder! 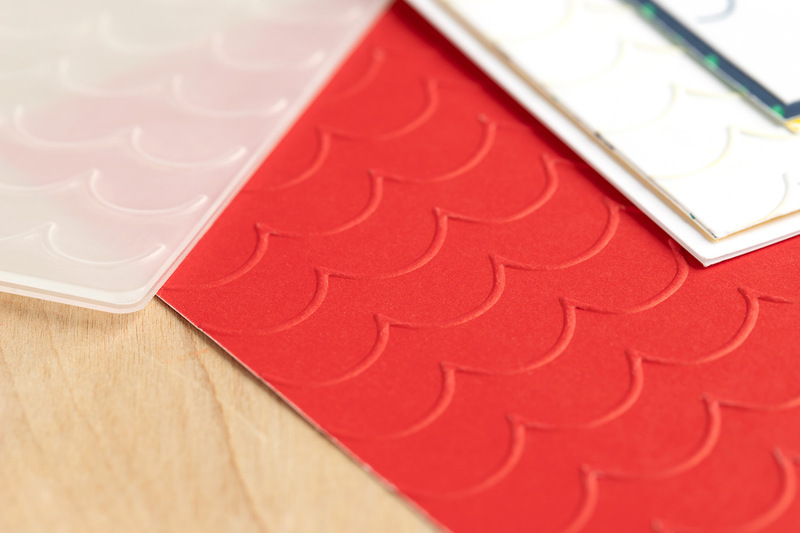 Embossing folders make adding depth and texture to any of our papers a cinch! 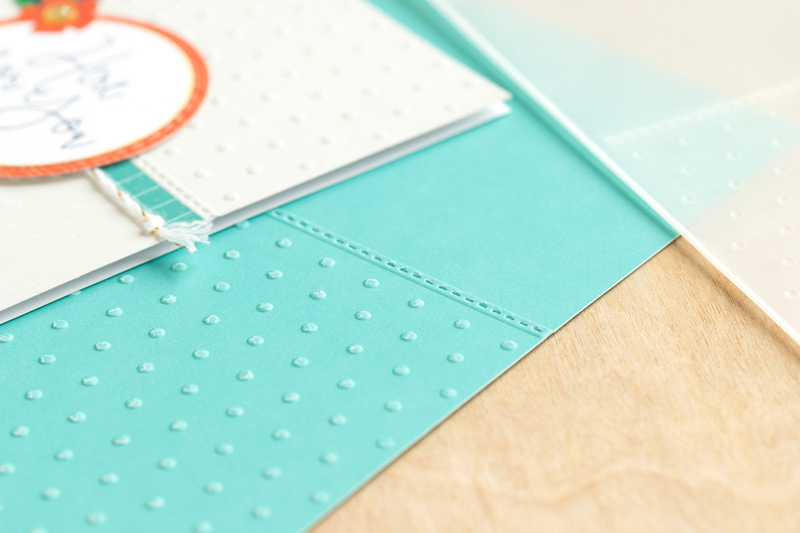 For your crafting arsenal, we have two new embossing folders, the Playful Scallops and Swiss Dot. 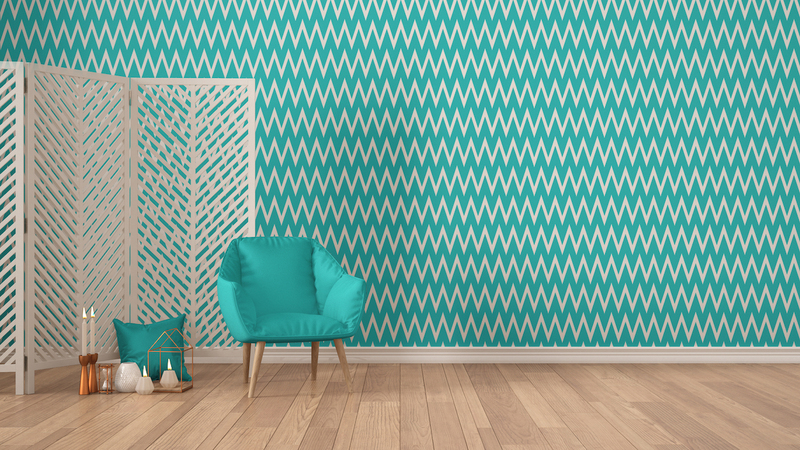 Create some lasting impressions, as you get crafty with these new patterns! There are a few new kids (and pets) in town and they’re all made out of paper! 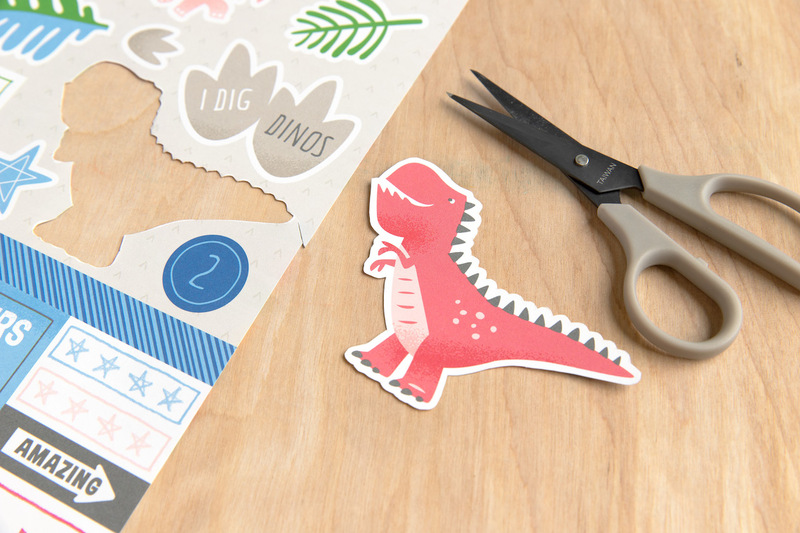 Say hello to the Paper Pal stamp and Thin Cuts! These are available as individual stamp sets: Paper Pal Base, Paper Pal Girl, Paper Pal Boy, and Paper Pal Pets, and also with coordinating Thin Cuts dies: Paper Pal Base Stamp + Thin Cuts, Paper Pal Girl Stamp + Thin Cuts, Paper Pal Boy Stamp + Thin Cuts, and Paper Pal Pets Stamp + Thin Cuts. 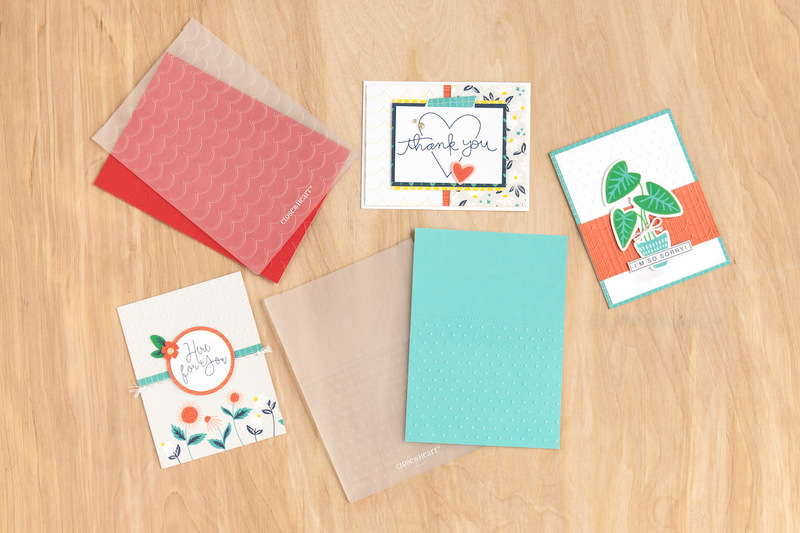 And, better yet, if you like them all, get the Paper Pal Bundle, including all four stamp + Thin Cuts sets, and save over 10%! The Stitched Square Frames and Stitched Rectangle Frames Thin Cuts are an easy way to mat photos, journaling, and anything else you want to highlight in your art. Each of the dies included in the sets cuts two shapes: one stitched frame piece and a ½” smaller inside shape with stitching around its border. The Stitched Quilt Shapes Thin Cuts were designed to add stitched patterns and cut solid shapes that nestle perfectly inside the frames for effortless paper quilting! 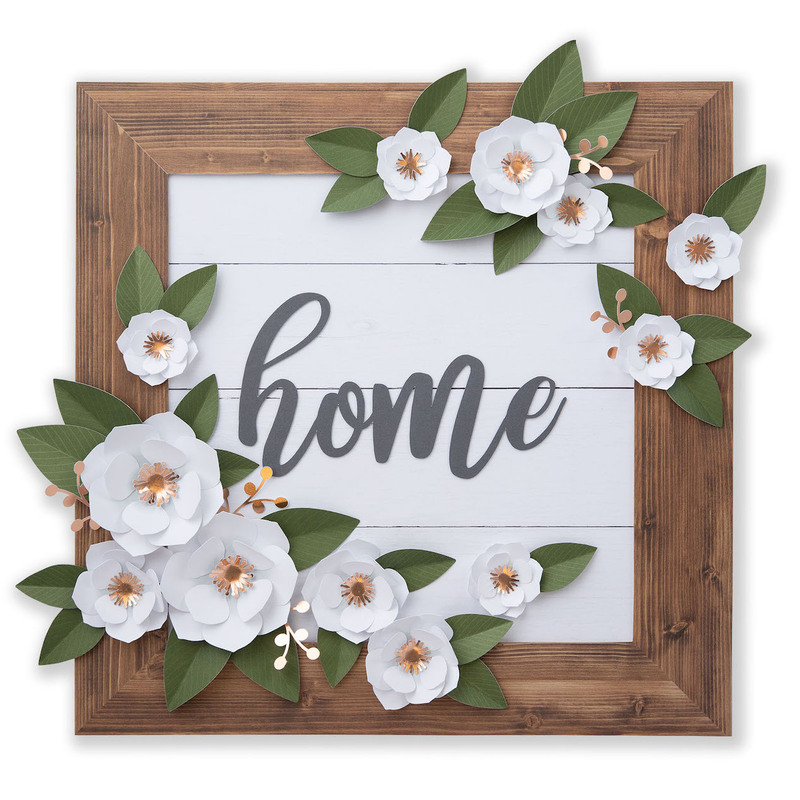 The Feels Like Home watercolor die-cuts are floral designs that come printed on two 6″ x 6″ watercolor papers. 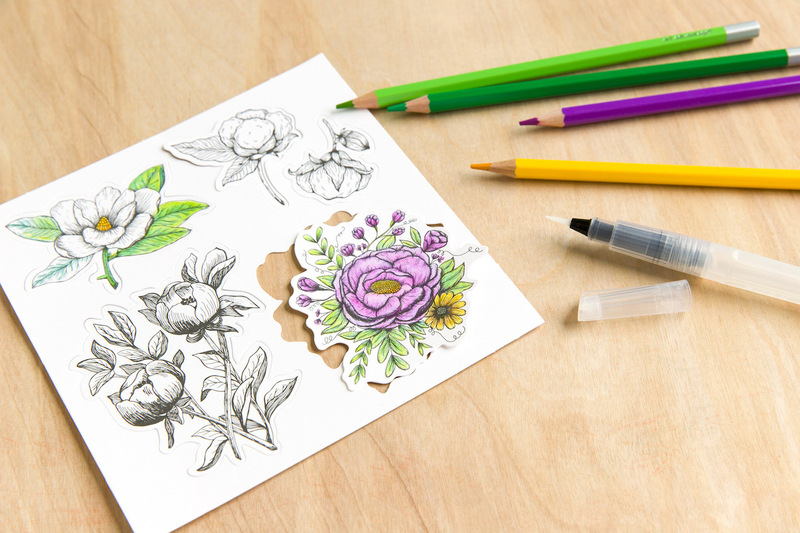 Add color using your favorite watercolor paints or pencils and then punch them out to embellish your artwork. 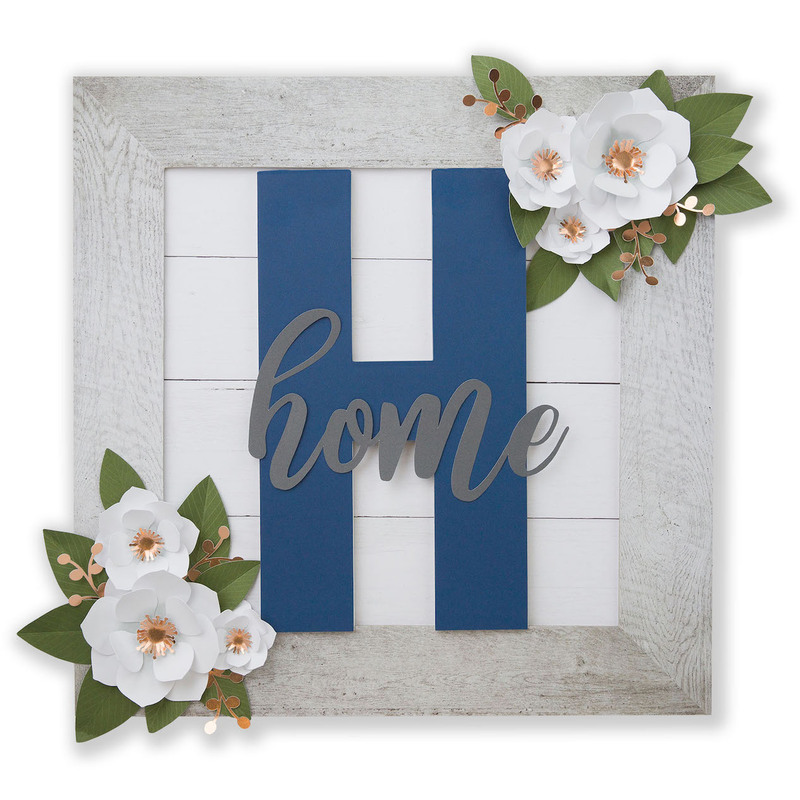 These die-cuts coordinate with the Feels Like Home collection but, as you can see, they are customizable to other color schemes and your liking! 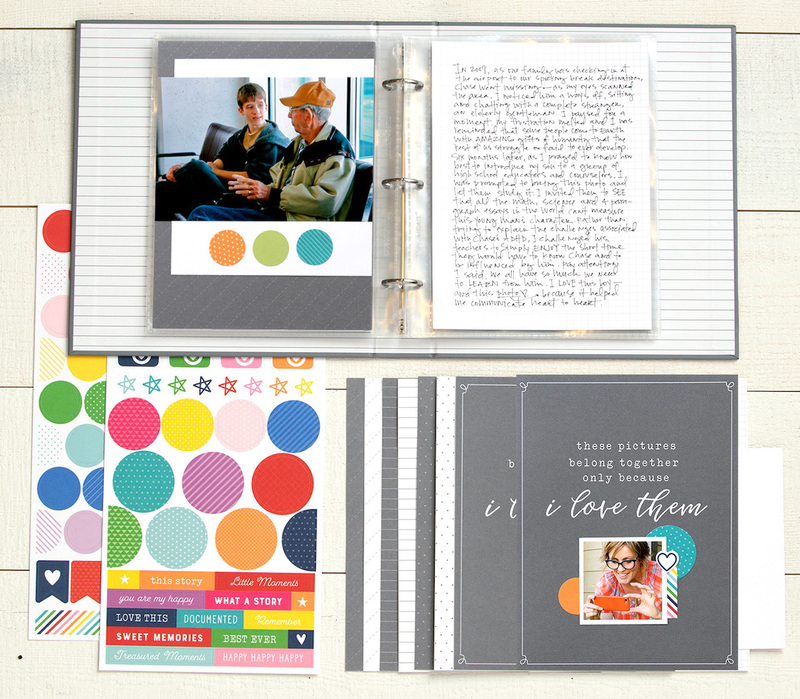 The Stories I Love workshop kit provides a place to gather the photos that mean the most to you and document the stories that go along with them! The included instructional workbook explains how to explore the memories behind the photos you treasure and then write a detailed story to capture all of the elements of that moment! We can’t wrap this list up without showcasing at least a couple standalone stamp sets. The My Acrylix® Word Search Highlights stamp set is one of the many in the Seasonal Expressions 1 catalog that will brighten someone’s day. 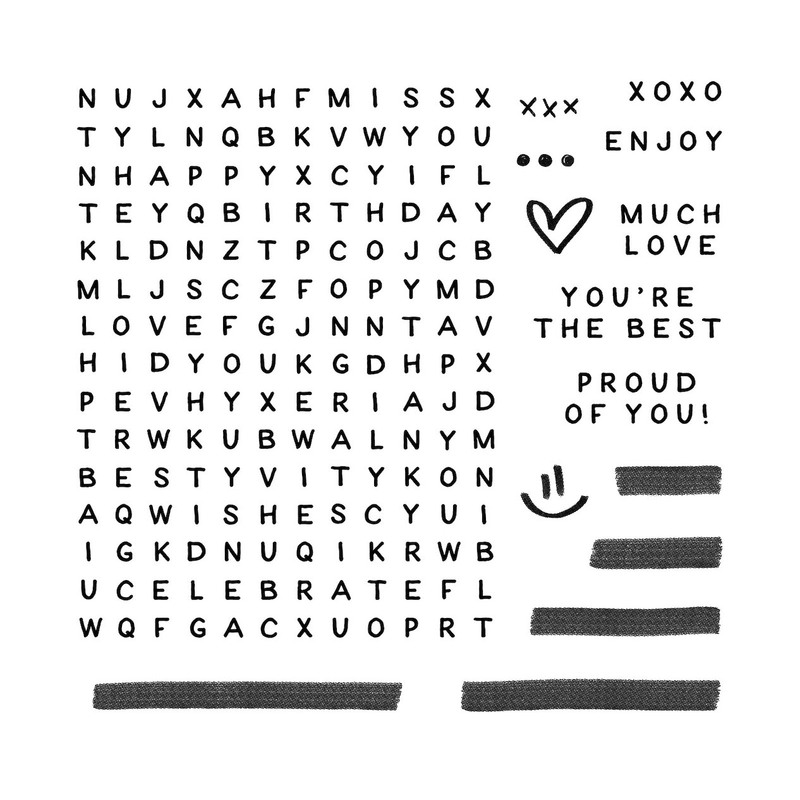 With a fun word search hiding sentiments for all sorts of occasions, you can quickly and easily create a fun and meaningful card. 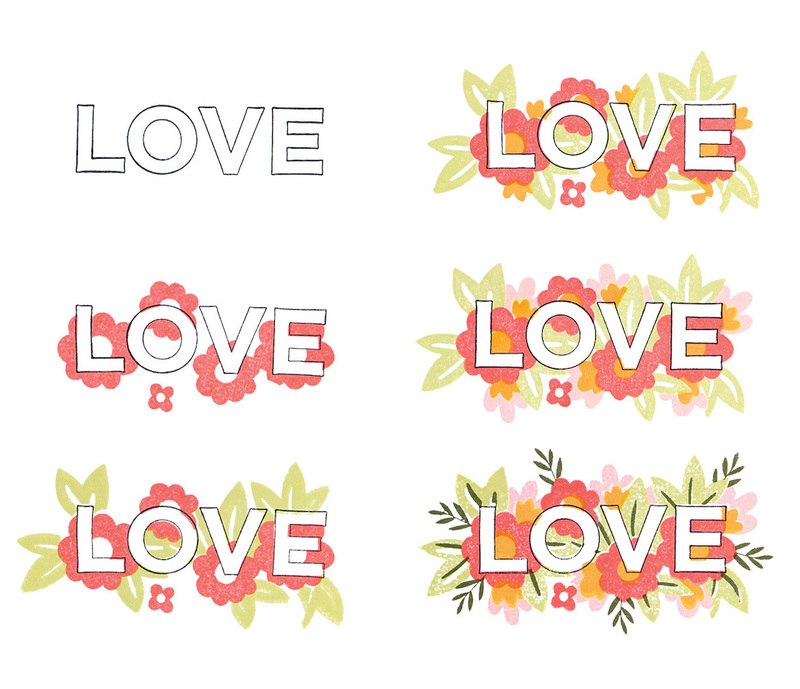 Another stamp set that is sure to catch your eye is the My Acrylix® Love in Bloom stamp set. 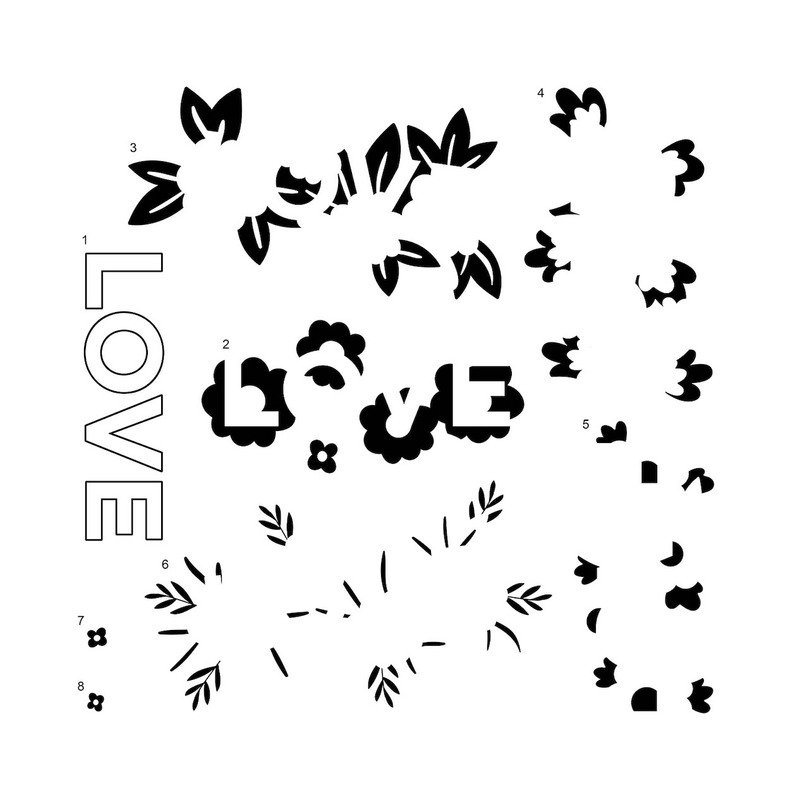 The six stamps in the set are designed to layer on top of each other and form a single, beautiful image. 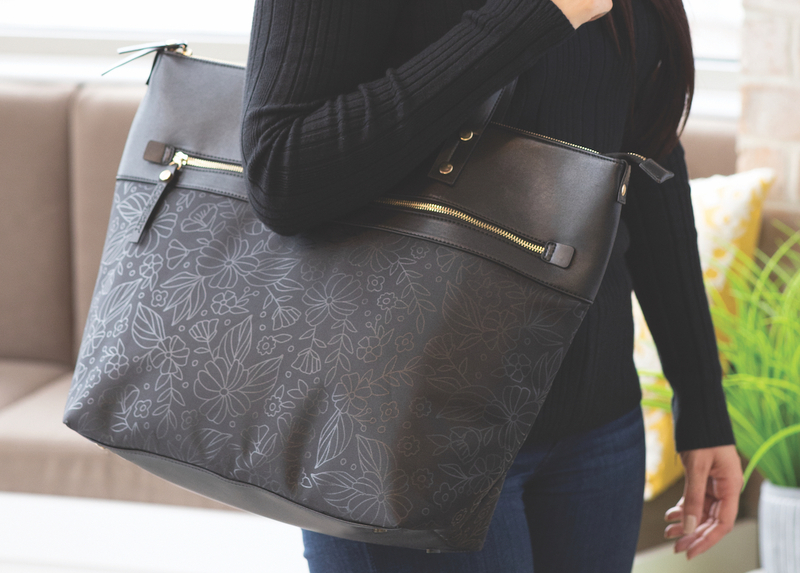 Take all of your crafting supplies on the go with the newest member of our Designer Travel line, the stylish and durable Shoulder Tote! 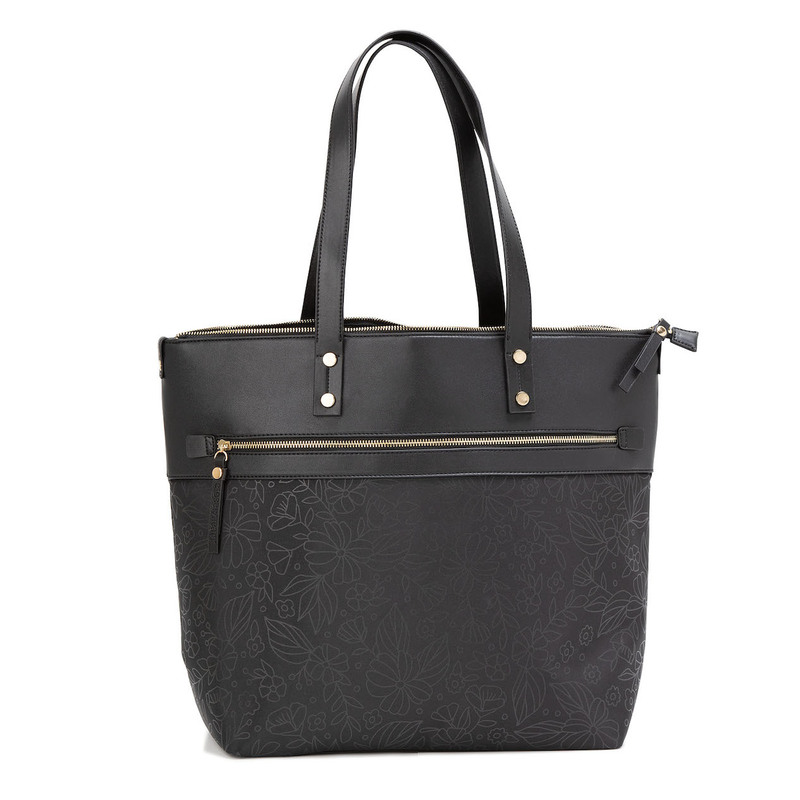 It features a zippered main compartment, one small interior pocket, and one large exterior zipper pocket. 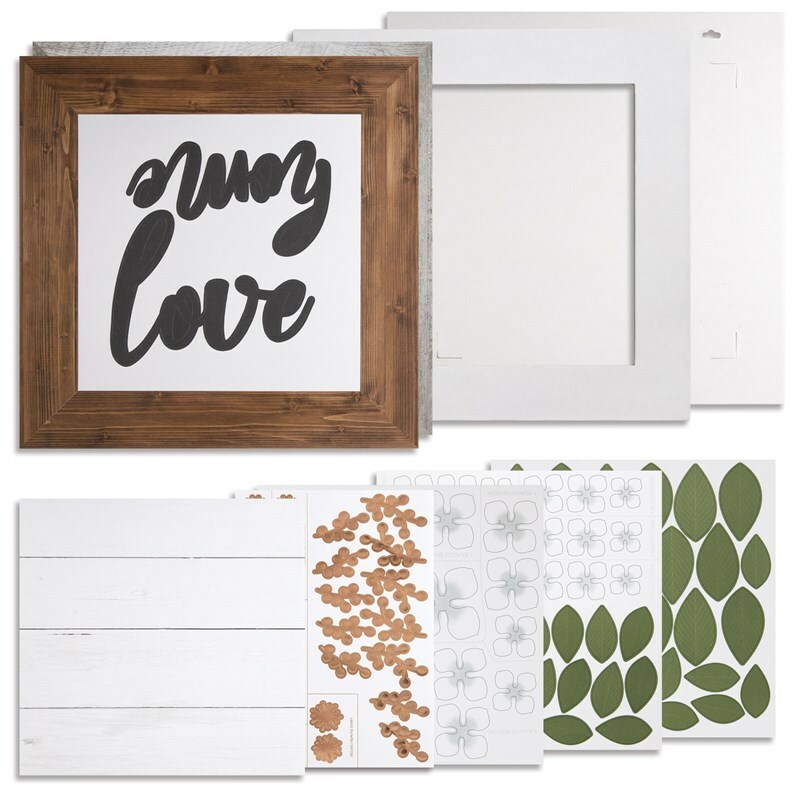 Like we said at the very beginning of this post, these are just a few of the many products worth taking a look at in our new Seasonal Expressions 1 catalog. Make sure to contact your Consultant, or visit us here, to see what else 2019 holds in store! May you have a wonderful and happy New Year! Let’s start with one calendar year of digital images and your Short Story workbook. I chose to work with photos from 2017, since 2018 still has a few more days left 🙂 . 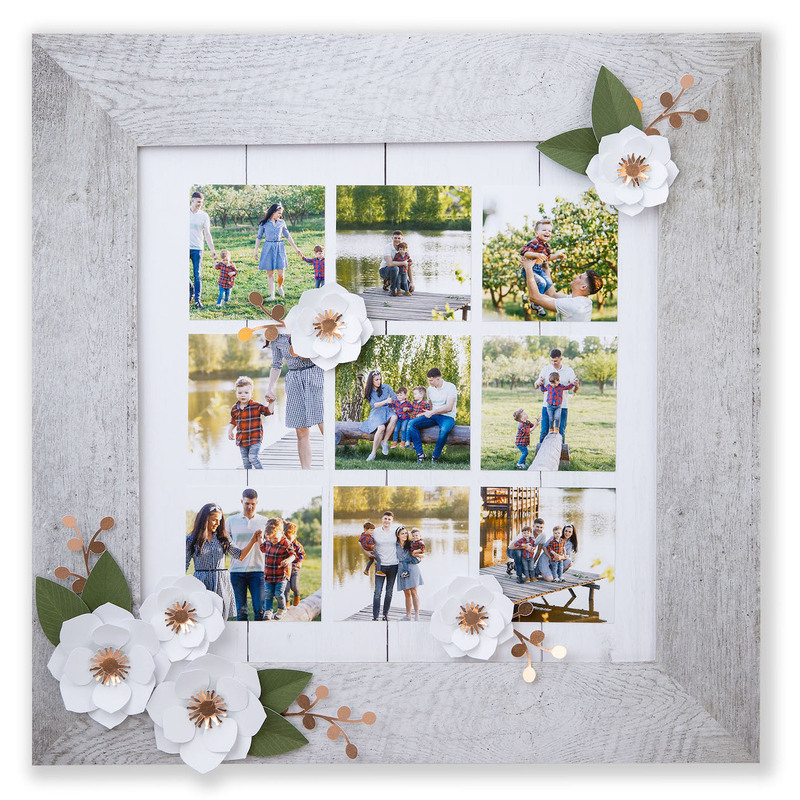 As you scroll through photos on your camera roll or computer, use the notes section in Step 1 of the workbook to jot down major events, memorable moments and everyday themes that you remember and would like to see represented in the pictures you print. With these images and notes in mind, reflect on and answer the five questions. We sometimes jump straight to printing photos, but with a highlights project like this, these steps are absolutely essential to moving forward with confidence. If you’d like to win one of these prizes, just share a comment with me of one thing you’ll be celebrating in 2019. Make your comment before January 1 and we’ll draw our 35 winners in the first week of January. From my heart to yours, I wish you a very Merry Christmas and a Happy New Year! Talk to your Close To My Heart Consultant before December 31 to make sure the items on our list make it onto your next order! And if you don’t have a Consultant, just head over to closetomyheart.com and start shopping or click the “Find a Consultant” link.